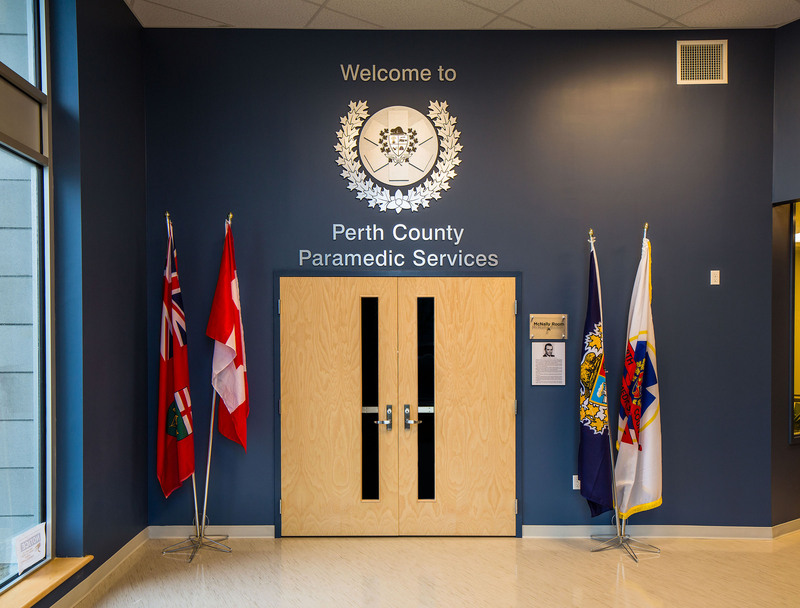 The Emergency Management Services (EMS) facility headquarters was an exciting opportunity to provide space to meet the operational and administrative needs of Perth County Emergency Medical Service and the Perth County Emergency Management Department. 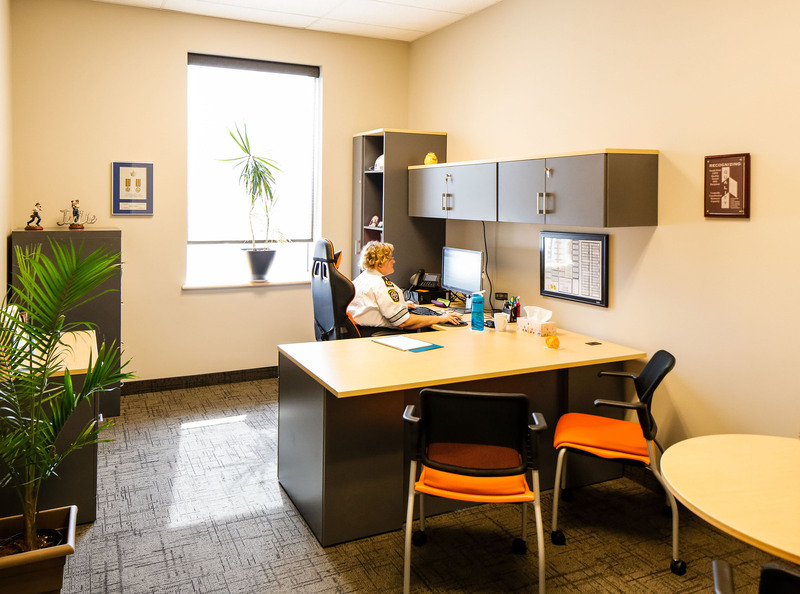 Secondarily the building provides addi­tional resources for the Corporation of the County of Perth through additional meeting and training spaces, offices and IT back up infrastructure. 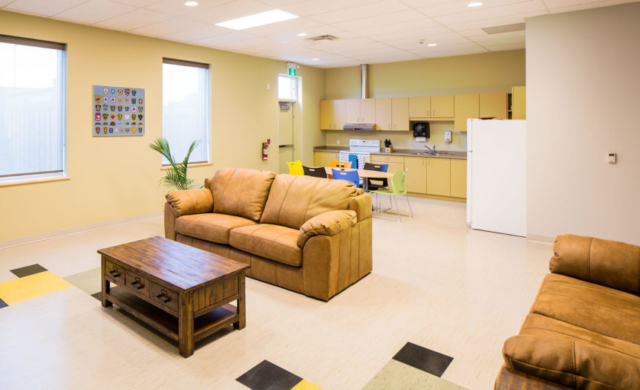 It was important that the building was energy efficient, had bright natural lighting to provide a motivating work environment and promote a safe and secure environ­ment for staff. 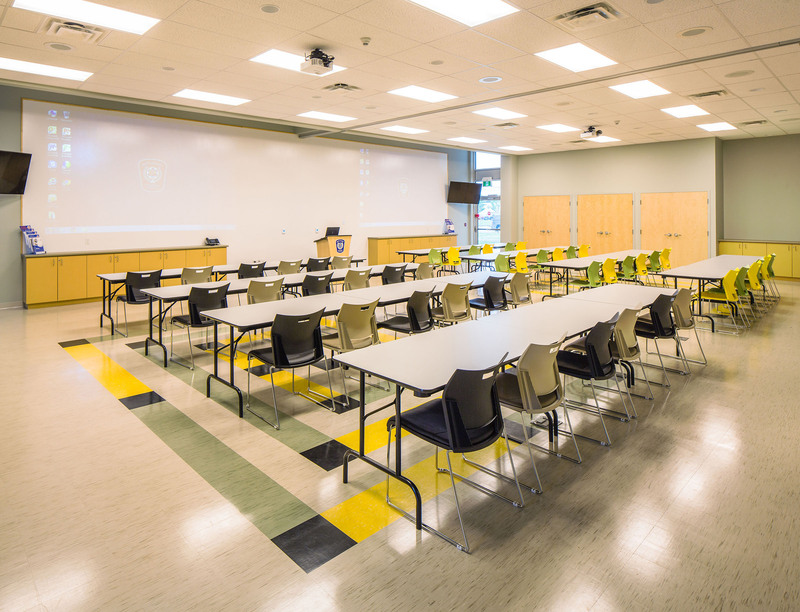 The building is equipped with controlled access doors, security cameras in common areas, and intercom systems. The design facilitates easy to maintain infection control and integrates with the Ministry of Health Central Ambulance Communication Centre radio communications and paging systems. Architecturally, the new EMS facility uses sustainable materials with long lifes­pans that require minimal maintenance. The exterior walls are concrete block with exterior brick and decorative stone. 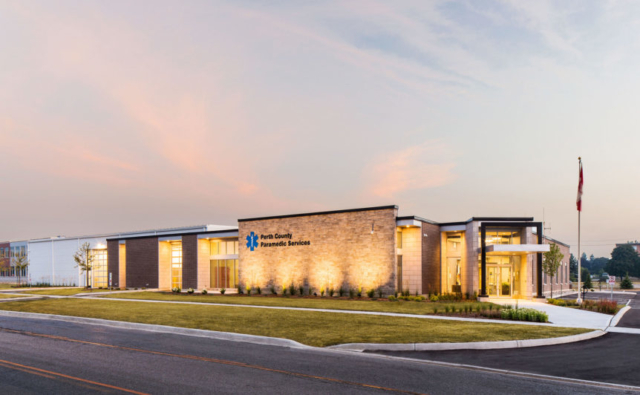 The administration area roof is flat con­sisting of a two ply modified bitumen system complete with prefinished metal flashings and trims with the ambulance bay portion being a sloped metal roof. The interior finishes contain a mixture of painted concrete block and abuse resistant gypsum board. 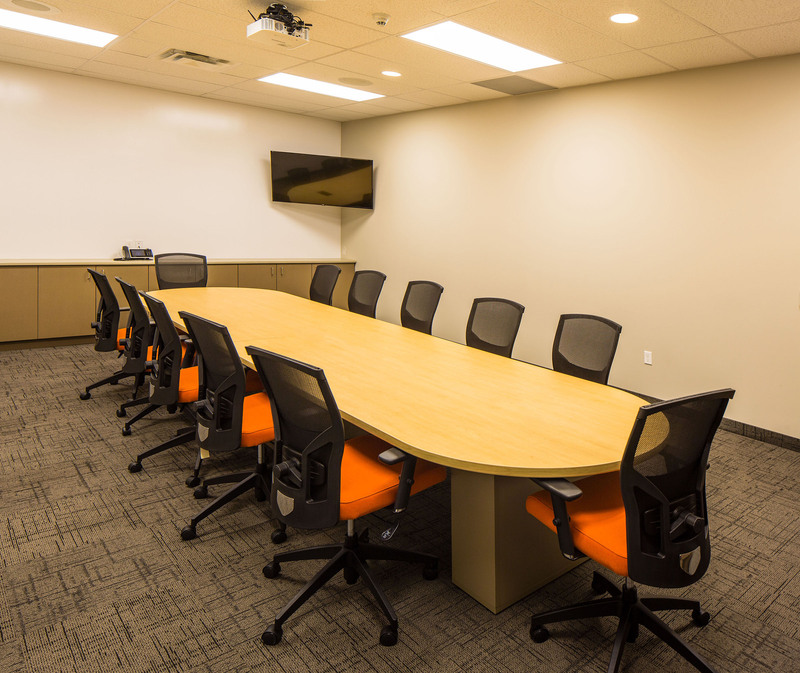 Ceilings are generally acoustical tiles, gypsum board or exposed structure. 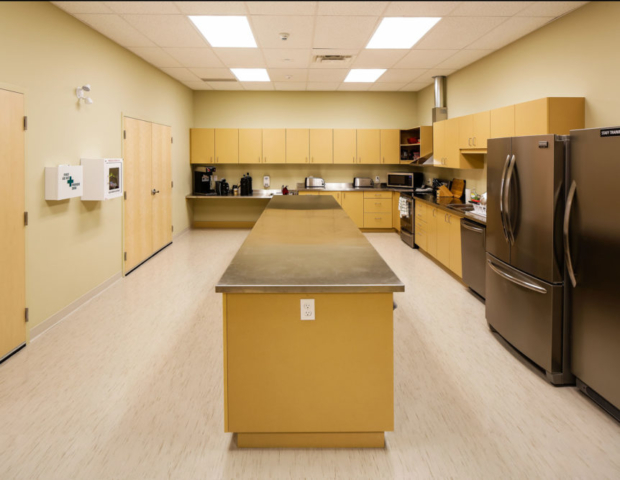 Floor finishes are ceramic tile, or vinyl depending on the use of the rooms. 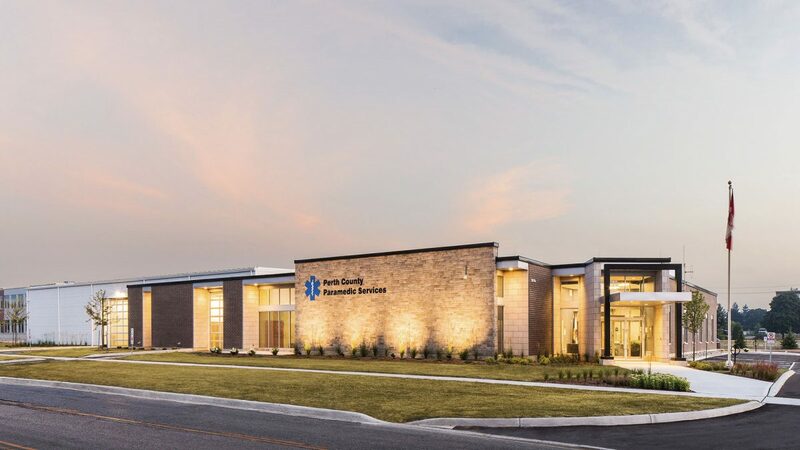 The HVAC and electrical system is controlled by a computerized building automa­tion system that monitors building usage to provide optimum energy efficiency.